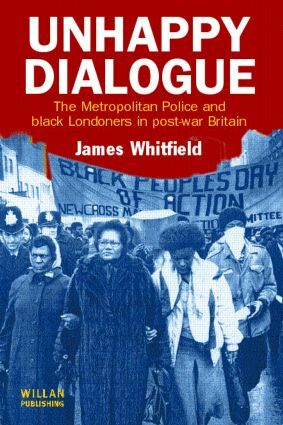 This book is concerned with the origins of the often difficult relationship between the Metropolitan Police and London's West Indian community, and is the first detailed account of the relationship between them during the crucial early decades of largescale immigration. It shows how and why the early seeds of mistrust between police and black immigrants were sown, culminating in the subsequent riots and public enquiries - in particular the Scarman and MacPherson enquiries. Drawing upon a wide range of interviews as well as detailed archival research, this book also sheds new light on the relationship between the Home Secretary and the Metropolitan Police Commissioner in the post-war period, the cultures and subcultures within the Met and the different priorities to be found within its rank structure; the nature of cultural and ethnic prejudice in the Met at the time; its self-imposed alienation from the community it served; and the Met's lack of commitment at the highest level to community and race relations training. All these issues are examined in the broader context of British society in the 1950s and 1960s, providing a prism through which to explore the broader context of race relations in Britain in the post-war period.